I am so backlogged that I swore I wasn’t going to write about last night’s show at the Dunedin Brewery (Thursday, January 5th). But it was so damn good that I have to publish at least a short review. I took no notes, so this is all off the top of my head (and good luck with that). Here is a link to the preview that led up to this. Cosmic Groove Ensemble opened the show, and people were dancing from that moment until midnight (OK, not during the set break). 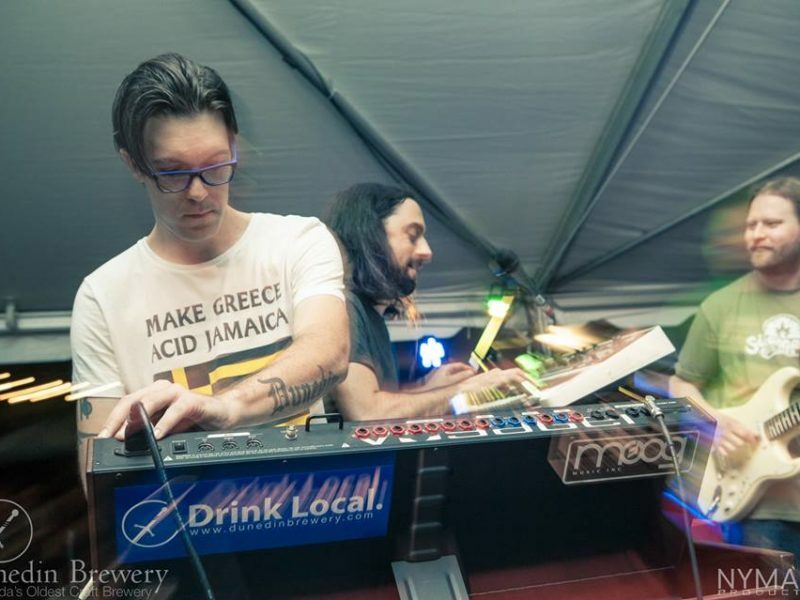 CGE is a new group on the scene, but they are making a big splash with superb trippy cosmic funk. Driven by the super-tight rhythm section of Henry Gallo and Dillon Reeder (bass and drums), CGE is fronted by the amazing keyboard work of Jeremy Layel and the emotive vocals of Lisa Ogden. Sara Phillips, the fine trombone player better known as Mama Bone, was on stage with them as we arrived, and she played several songs with them at the end of the set as well. 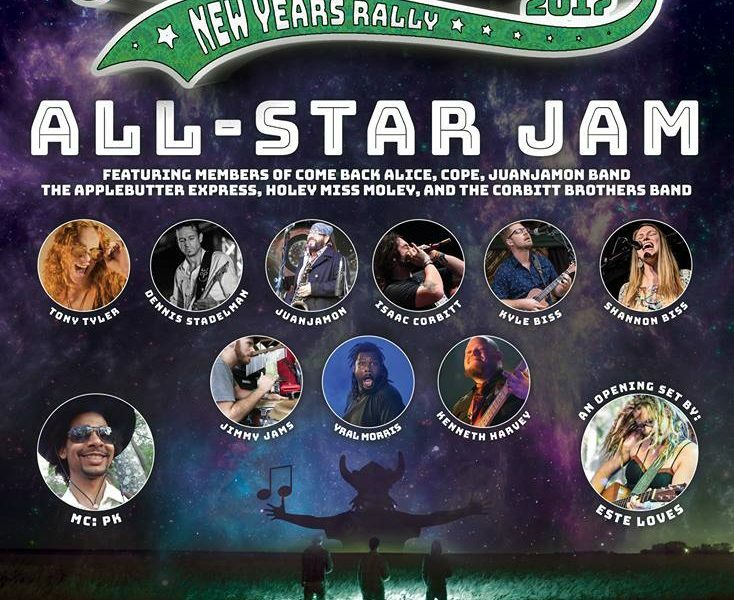 She just crushed at Hometeam New Year’s Rally as an artist at large, and she sounded great last night, too. There was tremendous crowd support throughout the entire set. More than anything, this quartet is just plain fun. I think all of the songs were originals (or I wasn’t paying attention), and they were really good. They have been recording some songs to get out so that you can hear them online. Put this band on your list of bands you need to check out. Then it was time for The Reality. This was my third time seeing this band, now expanded to a quartet, and I’m still not sure how to describe them, but I’ll give it a shot. You certainly won’t see a band work harder than they do, and what they produce is pure, unadulterated joy. It’s rock, it’s funk, it’s almost punk, it’s jazz, it’s… see what I mean? Brian “BA” Jones is the new man at the drum kit, and he ably demonstrated that he is the right man for the job. We also got to hear his great voice. And the new weapon in the arsenal is Kyle Sareyani, who plays keyboards and flute. His addition gave great depth and breadth to an already great sound. The dancing was once again non-stop, and so was the band. They covered the Red Hot Chili Peppers, Sublime and Daft Punk, interspersing those with their fine originals. Space bass, feedback, synthesizers, drum fills, flute, chunky funky guitar and great vocals filled DunBrew for two hours. Dan’s vocals on “All My Time” are simple killer. (I’ll include the Spotify playlist again.) My favorite tune of theirs is “Scooch on Over,” and I got a shout-out (!!) as Dan invited Mama Bone back to the stage for a trombone duet. Suffice to say it was badass! Sound engineer Chris Fama received deserved shout-outs from both bands, and as always the amazing waitstaff at DunBrew were their usual warm fuzzy selves! Reminder to patrons: there is no cover charge at places such as DunBrew. Tip the bands AND the waitstaff handsomely! 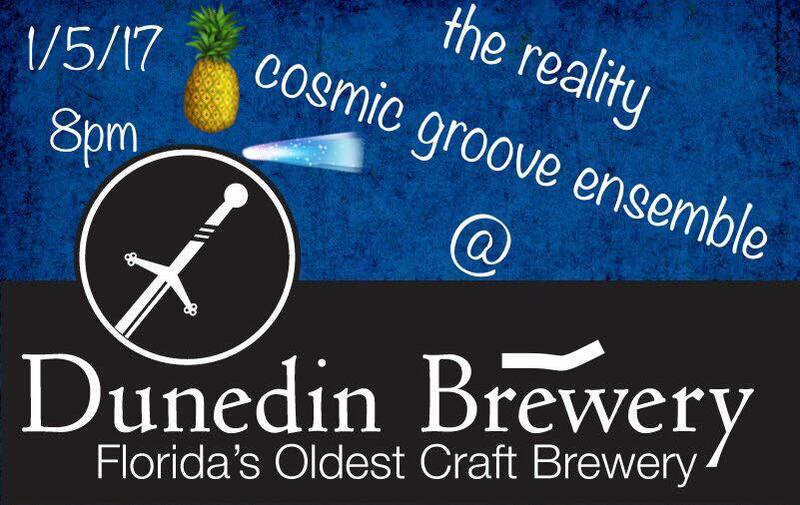 Cosmic Groove Ensemble’s next gig is February 4th at Skipper’s Smokehouse along with shoeless soul and Redfeather. The Reality has eight more shows around Florida this month (they played 100 shows in 2016). 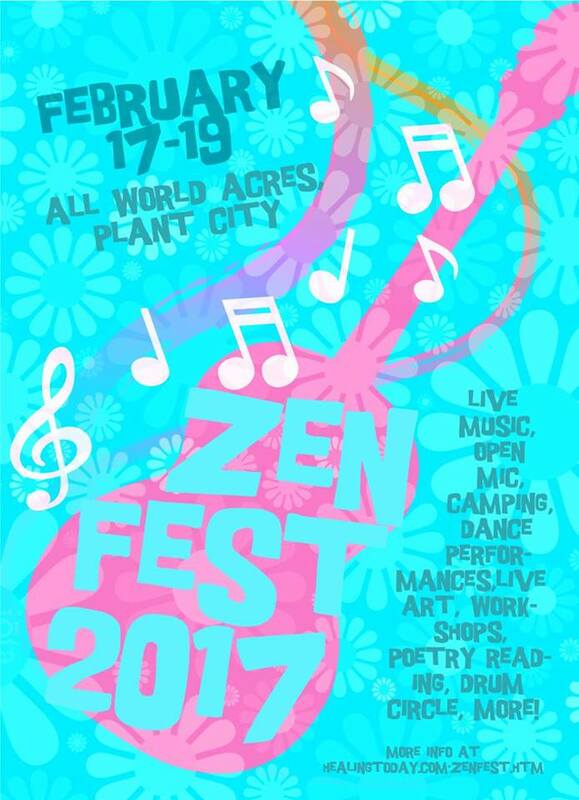 In February they return to the delightful ZenFest at All World Acres in Plant City February 18th. 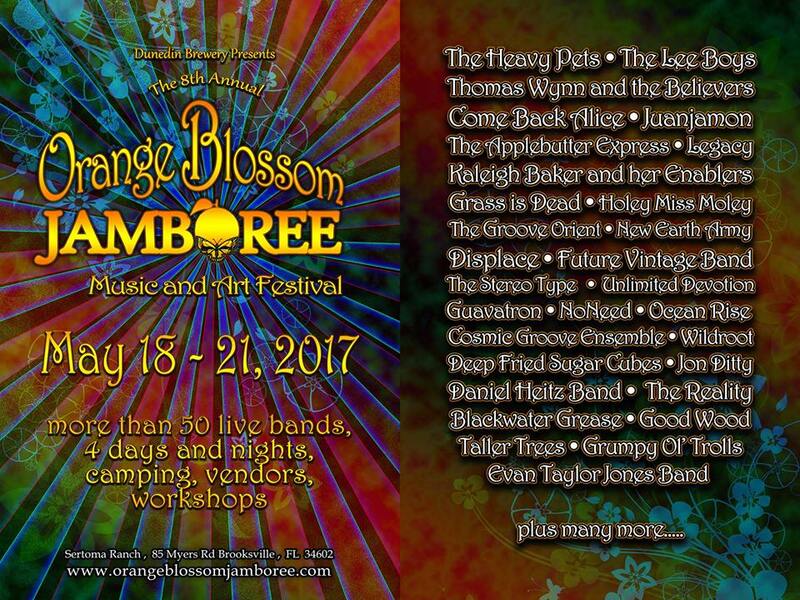 And both bands have just been announced on the initial lineup for Florida’s proper jam showcase: Orange Blossom Jamboree May 17-21.